In the following twenty-two minute video, Hauʻoli Mau Loa Foundation and the Hope for Kids ʻEkahi partners provide an overview of the first Hope for Kids Initiative (2009 – 2015). 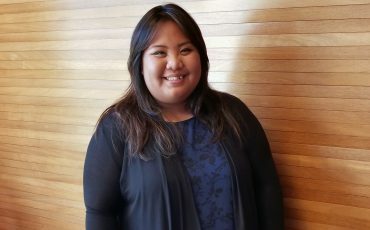 Over the course of the initiative, the nonprofit Partners all explored how to expand or improve their work with children in their communities across the state of Hawaiʻi. While each Partner delivered their programs in their own ways reflective of their community and their setting, they all agreed to incorporate the following elements into their programs and to explore how these program elements contributed to bringing the children they served a sense of hope: 1) Aloha – provide opportunities for meaningful engagement with an adult who shares of their ʻike and aloha; 2) Kuleana – believe in the potential of children and set high expectations for their performance; 3) Mālama ʻĀina – provide opportunities to learn outdoors; 4) Hoʻolako – assist in the development of life skills; and 5) Mēheuheu – provide opportunities to celebrate and find strength in one’s cultural identity and/or use culture for learning. In addition to providing an overview of the entire Hope for Kids ʻEkahi initiative, this video provides a deeper look into the programs of ʻAha Pūnana Leo, Kaʻala Farm Inc, Hoa ʻĀina O Mākaha, and Ma Ka Hana Ka ʻIke.